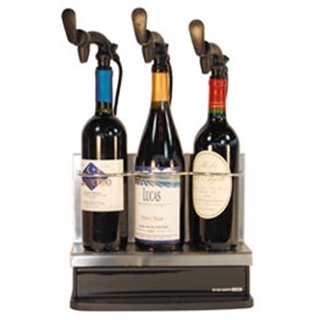 Product dimensions: Height: 9" x Width: 18 1/2" x Depth: 6"
Preserving opened bottles of wine is key to running a successful, profitable bar / restaurant. 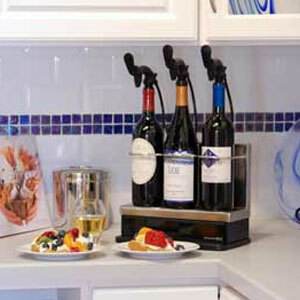 The WineSaver Pro allows you store and preserve up to 3 standard 70ml bottles. Approx Height with bottles connected: 20"